As a small business sales rep, you spend a lot of time working in Outlook. But if you think its only role in your workday is to let you email customers, you’re really missing out! That’s because you can integrate your favorite software programs through the use of Outlook add-ins, which are available via the Microsoft AppSource marketplace. These integrations can help you work more productively in your inbox by making it easier to send documents, write persuasive emails, and more. 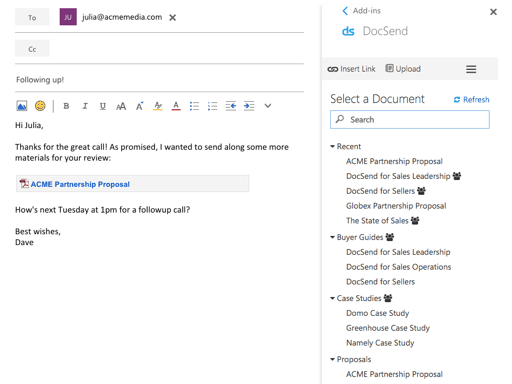 To help you filter through the selection, we’ve compiled a list of six great Outlook add-ins to help sales reps better serve their customers. The idea behind the iPlanner Pro Office 365 add-in is to give you a planner within Outlook. This add-in lets you create tasks and appointments, track projects, and brainstorm ideas. The planner also integrates with other Office 365 services like Groups and Microsoft Teams, making it simple to communicate with colleagues, organize teamwork, and coordinate events. When your whole team is on the same page, it’s easier for everyone to provide seamless customer service. One of the biggest challenges for a business of any size is to provide stellar customer service even when things get busy. CRM software helps you overcome this barrier by providing a 360-degree view of each lead and customer, so you always know what they need. 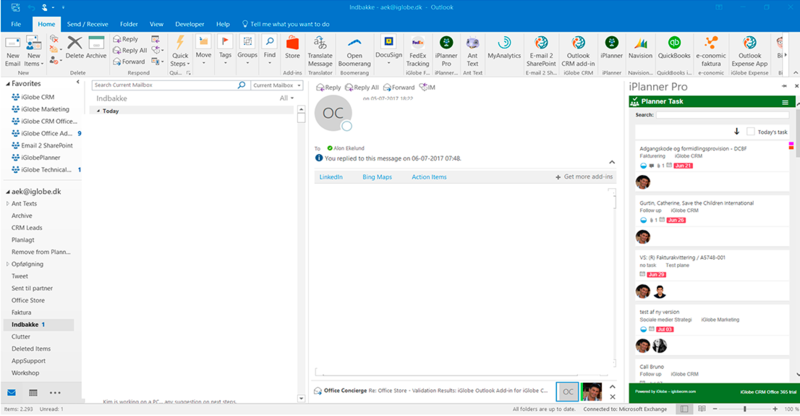 The Outlook add-in from Method:CRM brings this visibility right into your inbox. When you open an email, you can update contact information, refer to previous interactions, and view transactions synced from QuickBooks, all without having to switch between programs. The add-in can also be customized to suit your business’s unique workflows. If you’re already a Method:CRM user, this add-in is a must-have for your customer service toolkit. Every day you send email after email containing important documents. Understandably, it can be a struggle to keep track of everything — especially when multiple individuals are accessing these documents. That’s where the DocSend Outlook add-in comes in. Instead of manually attaching files to your messages, sending DocSend links allows you to track who has read your documents and when. You can also update your documents at any time, and rest assured that recipients will always see the most up-to-date version — no more clutter caused by sending the same document back and forth! With the DocSend add-in, it’s easier for you, your team, and your customers to stay on the same page. How many times have you sat down to write an email, only to struggle with the wording? This is a common problem for sales reps. When you’re sending follow-up emails to different types of buyers, your voice has to change. The email you would send to a middle-aged professional is likely different than the email you would send to a millennial. If your company has a diverse customer base, the WittyParrot Email Templates add-in is a great solution. First, you use the WittyParrot platform to pre-build modular, reusable blocks of email content. Then, use the Outlook add-in to quickly find and insert relevant snippets of content into your message. This tool makes it simpler for busy sales reps to ensure that their messages are always tailored appropriately for the target audiences. One of the best ways of building brand loyalty among your customers is to evoke an emotional connection. However, you want to be sure that the emotion you’re creating in your audience is a positive one. 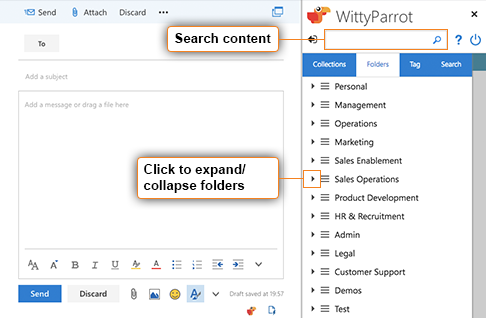 Similar to WittyParrot, the RiteTone Emotional Intelligence add-in is another resource to improve the content of your email messages. 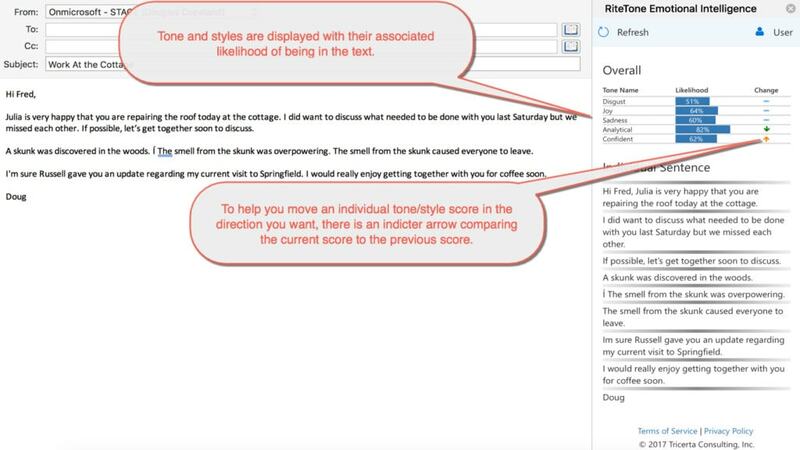 As you compose an email, the tool uses linguistic analysis to provide feedback on your emotional tone and language style. With this guidance, you’ll be able to write more effective emails that connect with customers in the way you want them to. If you’re used to keeping track of your notes digitally, then the Evernote add-in is a natural fit. This add-in brings Evernote into your Outlook inbox, helping you keep your projects and communication organized. Emails can be saved in notebooks, while notes and document snippets can be attached to outgoing emails. 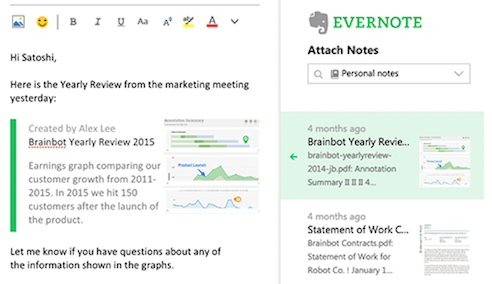 As a bonus, the Evernote for Teams add-in combines the power of Evernote with the benefits of Microsoft Teams. Viewing Evernote content alongside your team chat helps everyone understand the context of the conversation. As a result, you can collaborate more efficiently and provide better service to your leads and customers. When deciding on Outlook add-ins for your sales team, start by considering your needs. Which of your current processes are inefficient or difficult? What do you feel is missing from your email communication with customers? Once you have the answers to those questions, start identifying add-ins that will address those pain points. However, keep in mind that less is more! 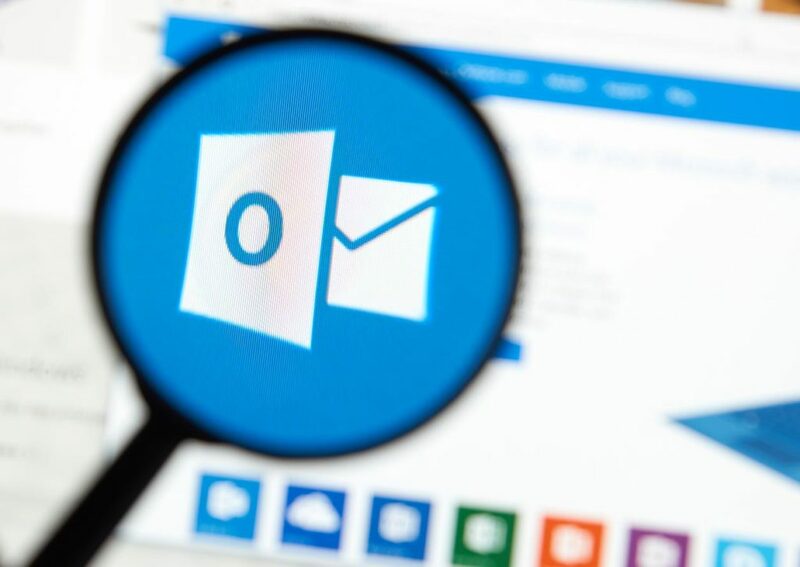 Outlook add-ins are meant to increase your productivity — so focus on the ones you need, and skip any that won’t add value to your sales process.